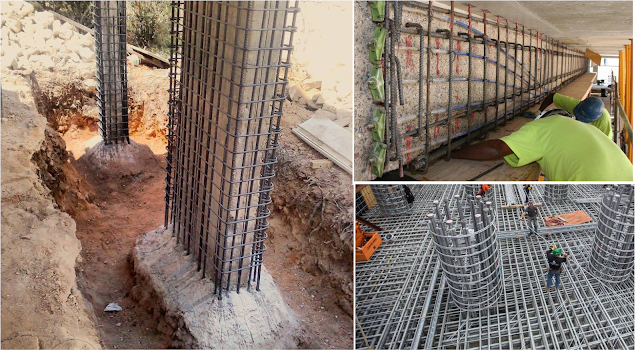 The purpose of reinforcing concrete structures with a concrete or steel jacket increases the compressive and shear strength and maintains enclosure to enhance the ductility or bonding of concrete and reinforcement. Strengthening systems are often classified into 2 categories: Passive systems and active systems. Passive strengthening systems don't introduce forces to the structure or its elements. Passive systems like steel ferroconcrete enlargement and therefore the addition of steel components contribute to load sharing and therefore the overall resistance of the member once it deforms beneath external hundreds. Active strengthening systems, like external post-tensioning (PT), involve the introduction of external forces to the structural parts that might offset half or all of the results of external masses. For example, new post-tensioned mono-strands will be profiled on the span of AN existing beam to supply uplift at mid-span which will be used to offset existing strength deficiency or permit the member to support extra load. 1- When a structure is damaged by events such as earthquakes. 2- When the user of a residential building is changed. 3- When there are plans to increase the structural classes. it is possible to maintain the shear strength, compression and enclosure of columns, walls, slabs and beams Also their bearing capacity will increase against earthquake and vertical side loads.